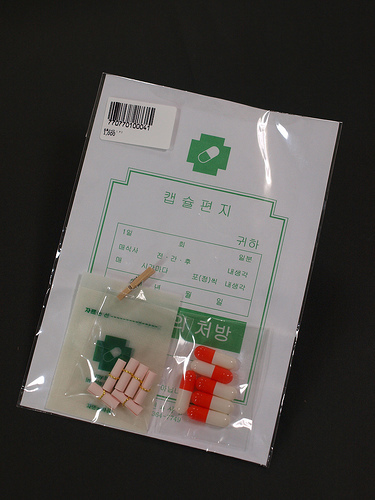 The product I would like to introduce from B-LABO today is not Japanese, but a gift from Korea to Bungu-o. 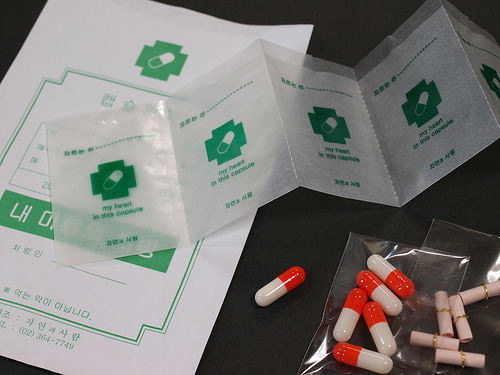 It seems like internal capsule medicine from the hospital, doesn’t it? But actually, it is a letter set. Medicine themed stationery! The capsules and paper bags look really real! I think the material of the small bags is especially awesome! And look at this tiny letter pad! So cool!! It’s kind of like the spy world. 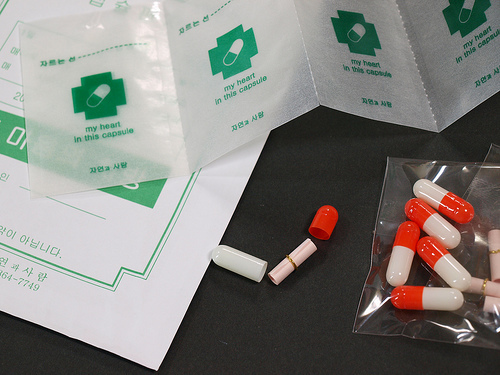 On the surface of the small paper bags, a phrase “my heart in this capsule” is printed. 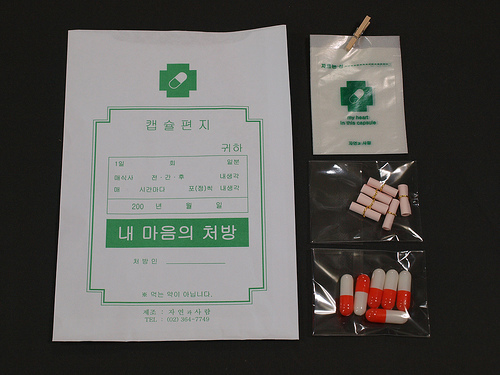 Others are all written in Korean. I’m not familiar with Hangul letters at all, but I guess it must be good for romantic notes(^^). Why don’t you write a short but passionate message to your girlfriends or boyfriends!? And don’t forget to mention that these are not real drugs! !